The paperwork – what do you need and where do you start? The residences you “should’ visit rather than those that don’t have a bed or may not be able to meet your needs. Other services, e.g. 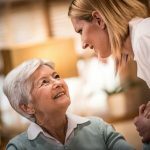 aged care specific financial advice, establishing power of attorney, someone to assist with packing up and scaling down. Lastly, after accepting the bed and signing the agreement, what to take and how to get there with a minimum of stress on the day.